EasyPure® Plasmid MiniPrep Kit provides an efficient way to isolate high quality plasmid DNA from ≤ 20 ml (LB) or ≤ 4 ml (ArtMedia™ Plasmid Culture) bacterial cell culture, with DNA yield up to 40 μg. Unique formulated lysis buffer and neutralization buffer permit error-free visual identification of complete bacterial cell lysis and neutralization. 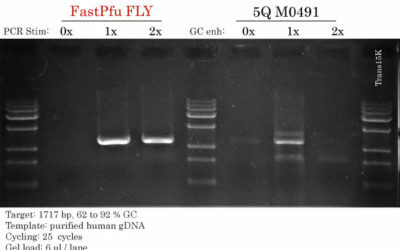 The purified plasmid DNA is suitable for a variety of molecular biology applications, including restriction enzyme digestion, ligation, transformation, DNA sequencing and transfection. For endotoxin-free plasmid miniprep, consider using EasyPure® HiPure Plasmid MiniPrep Kit. High-yield: Up to 40 ug/column of high-quality plasmid DNA can be extracted when using LB as growth media. Expect 25 ug for 1.5-2 ml of LB media (high-copy plasmid). High-capacity: Plasmid DNA can be extracted from up to 20 ml LB. Colored buffers for easy identification. 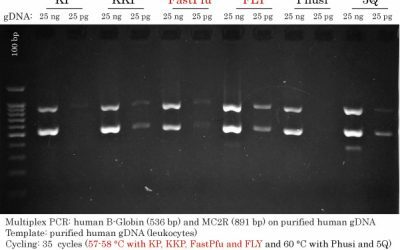 Very Good Kit, clean plasmid preps (ratio+++), very good for sequencing (good coverage with common methods). This kit is really equivalent to well-known brands, making them really overprized….I recommend it!! A coupon code for 20% discount has been sent to you.